While the stress involved with moving is well-known amongst humans, our feathered and furry friends–be they cats, dogs, fish, snakes, or whatever else keeps you company–can often truly struggle with the movement, noise, and extra people involved with moving into an apartment or house. After all, if you have a tiny dog like a chihuahua that can’t travel a few blocks in the car without freaking out or a cat that runs at the slightest unfamiliar noise, helping your pet to reduce his or her stress level can in turn raise yours considerably! That said, we have moved seemingly every possible type of pet out there and thus have assembled some of the best tips for moving pets that will minimize your stress while guaranteeing an easy move for everyone, human and otherwise. We’ve previously discussed the importance of rounding up all your paperwork prior to the actual day of the move. If you have a pet, then you almost certainly have a veterinarian and you’ll need a copy of his or her records along with any necessary prescriptions filled and put in an easy-to-reach place. Also, if you’re moving clear to the other side of town, consider getting a new vet by asking your current doctor for a friendly recommendation. If you’re moving a quick drive away from your current apartment or house, you may think that packing a bag for the move is excessive. However, depending on how well you unpacked your belongings and labeled them, it could take you a whole day or two before you finally have gotten to all of your pet’s belongings. So before you move, pack a bag with several days’ worth of food, any medication, a blanket, toys, and anything else that will help make your pet feel at home. In addition, use the move to get rid of or put any items in storage that you won’t need in your new home. Some pets are happy to run about their new lawn while you or your Chicago professional movers do the heavy lifting. But if you have cats, small dogs, or other types of pets easily perturbed by loud noise, consider a few different options. 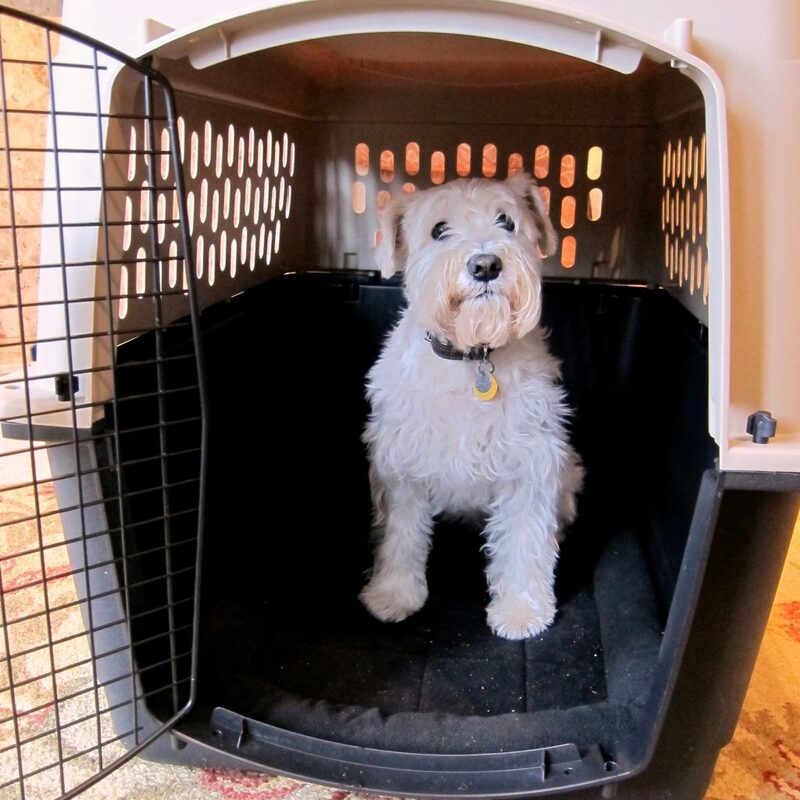 Firstly, a move is a great time to kennel your pup. And if you have a cat or something else, you can usually find an agency to care for him or her during your move so your pet is coddled and you don’t worry. Secondly, if you want your pet nearby during the move, then cordon off an area of your new home that’s ideally out of the path that you and your movers will be taking. One great method is to use an empty room or your bedroom as the “pet area” where your pet or pets can hang out with toys and treats until you’ve finished moving everything into your new home. Lastly, if you are moving a pet that lives in a glass container or fish bowl, clean out the container before the move and transfer your pet to the proper carrying device to ensure smooth transport. And be sure to travel separately from the moving truck in your own car with your animal either tucked away in a kennel or strapped in with a seatbelt. Don’t think the whole move is over once everything has been unpacked. Patience is at the heart of being a good pet owner. After all, teaching a dog to be house trained can take some time and be rather frustrating, but will save you considerable stress in the long run. When you first got your pet, he or she likely took some time to get used to a new environment. Pets tend to take time to get used to a new home and can act out in the course of settling in, so don’t be too harsh on your special friend and remember what helped them to get used to your previous abode. You may even want to get your pet a new toy for the new home so that they have something to immediately associate with their new environment. And finally, make sure you establish where your pet will go to the bathroom and reward good behavior with a treat.